CheapOair, a leading flight-focused, next generation concierge travel service, is now offering customers the ability to share a travel itinerary with family and friends using Apple devices. 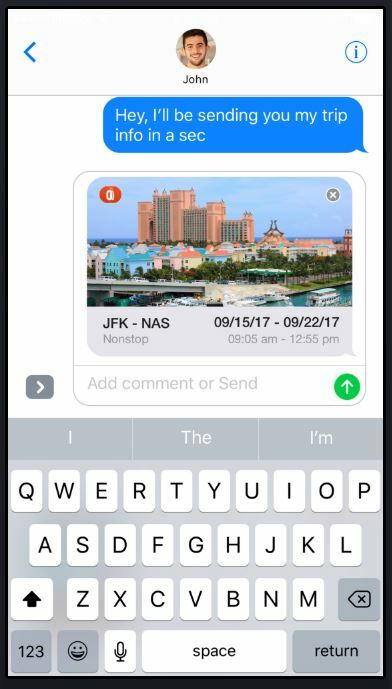 Apple’s iMessage extension allows users open select apps directly within iMessage for simultaneous interaction. Always seeking to offer more flexibility and convenience, CheapOair’s in-house mobile development team is dedicated to continually enhancing the mobile products available to customers. 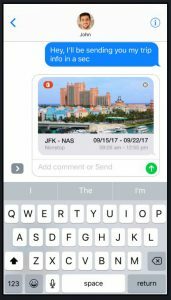 The iMessage integration marked yet another notable milestone for the team, as CheapOair became the first online travel agency to implement this feature. The CheapOair app with iMessage is available to download for free on iOS 10 and above. To use the functionality, users should enable the CheapOair app through the app drawer in iMessage. CheapOair is a flight-focused hybrid travel agency that enables consumers to book online, on mobile apps for iOS and Android, by phone or live chat. CheapOair (https://www.cheapoair.com, 1-800-566-2345) bridges the gap between an online and traditional travel agency with certified travel agents available 24/7 to help find deals and offers to destinations worldwide on over 450 airlines, 150,000 hotels, and 100s of car rentals. Partner airlines benefit from access to CheapOair’s broad customer base that books high yield international travel and add-on ancillaries at above the industry average. Follow CheapOair on Facebook and Twitter to learn how to travel the world for less. 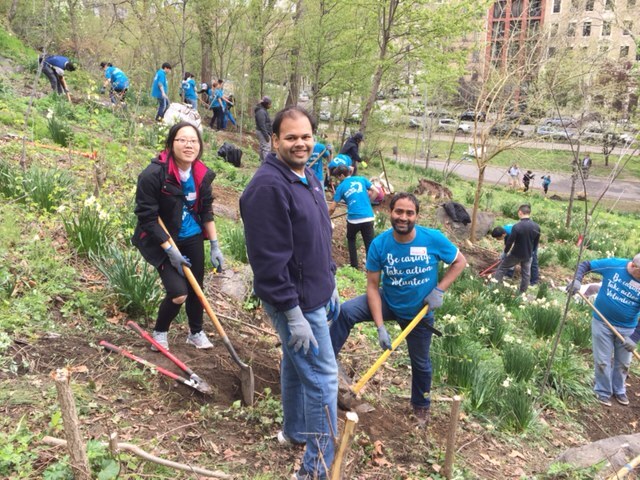 Fareportal, the travel technology company powering CheapOair and OneTravel, sent a team of volunteers this weekend to help clean Morningside Park in Harlem, New York City in celebration of Earth Day. 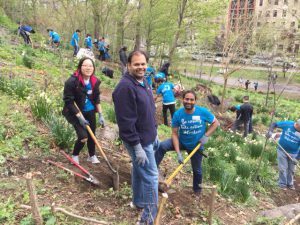 The volunteer event was one of the bi-annual city clean up events hosted by New York Cares , each of which can draw up to 4,000 volunteers across all five boroughs. 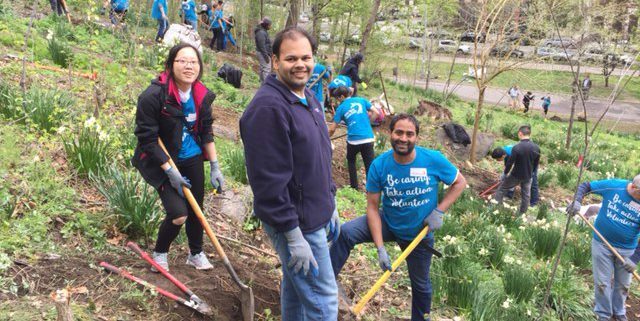 For this event, Team CheapOair dedicated their time to removing invasive species and also to clearing branches, leaves, and litter from the park to get it ready for the summer months. This month, CheapOair continued to receive recognition for innovation in website and mobile app development. CheapOair was honored at the Horizon Interactive Awards with two Gold Awards recognizing success in web and mobile innovation. The Horizon Interactive Awards is an independently-run, international competition that recognizes outstanding achievement in UX Design, Creativity, Technical Functionality, Messaging, and Effectiveness of web sites, videos, online advertising, print media, and mobile apps. This is CheapOair’s second consecutive year winning Gold at the Horizon Interactive Awards. Additionally, CheapOair was awarded a Gold Award at the Hermes Creative Awards for an outstanding mobile app. The Hermes Creative Awards are sponsored and judged by the Association of Marketing and Communication Professionals (AMCP). The international organization consists of several thousand professionals in production, marketing, communication, advertising, and public relations. CheapOair, a leading flight-focused, next generation concierge travel service, was honored recently with a Gold Award at the Hermes Creative Awards for progress in mobile app development. The Hermes Creative Awards are sponsored and judged by the Association of Marketing and Communication Professionals (AMCP). The international organization consists of several thousand professionals in production, marketing, communication, advertising, and public relations. This award is the second consecutive Gold Award from the Hermes Creative Awards honoring the CheapOair Mobile App. In addition to this award, the AMCP also recognized the app’s creative design and usability with a Gold Award at the 2017 AVA Digital Awards. 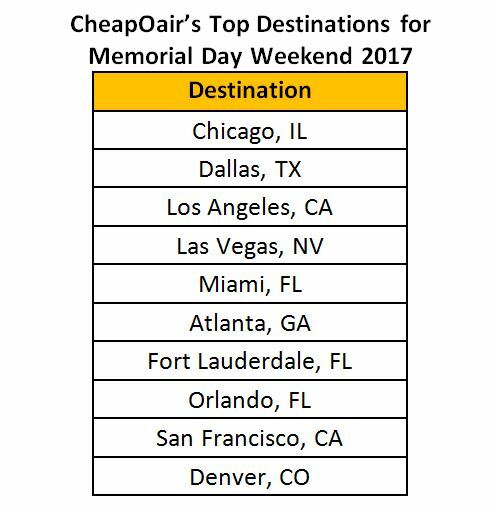 CheapOair, a leading flight-focused hybrid travel agency, announced today the top domestic destinations consumers are traveling to for Memorial Day weekend. This year, the data shows that average airfare is down 16% versus last year, among other key findings. 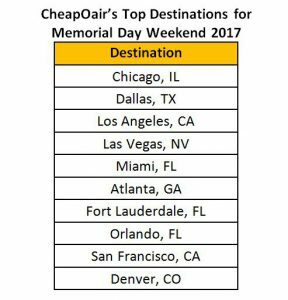 Chicago, Illinois tops this year’s list of top Memorial Day weekend destinations followed by Dallas, Texas and Los Angeles, California. Several other major U.S. cities rounded out the top 10, supporting CheapOair’s data that 83% of bookings made this year were to domestic destinations. The average airfare cost for the holiday weekend this year is $492*, which is a significant 16% decrease from 2016’s average price of $570. Historical data trends also show that travelers should be mindful of their time and take advantage of booking as early as possible. Airfare prices are predicted to remain steady until April 21st but then begin to increase leading up to the holiday weekend. “At the beginning of the year, airlines increased capacity to meet the increasing demand seen in 2016. In February and March, passenger traffic dropped by 4% causing many airlines to drive down prices in order to fill seats. With that said, travelers looking to book for Memorial Day should do so now, before prices potentially spike again at the end of April as demand increases for holiday travel,” said Tom Spagnola, Senior Vice President of Supplier Relations for CheapOair. It’s important for travelers to closely monitor airfares throughout the week, as CheapOair’s predictions show that airfare prices drop on Tuesdays each week, and then steadily climb through the remainder of the week. CheapOair also found that female users are continuing to surpass their male counterparts when it comes to wanderlust, as a whopping 16%* more women have booked Memorial Day travel over men as compared to 2016. Travelers can sign up to receive daily travel deals to various destinations, including the top spring break locations for 2016, by making a CheapOair profile at CheapOair.com. For more information, please visit CheapOair.com, CheapOair.com/mobile, or check out CheapOair’s Miles Away blog for travel tips and trends. *The fares and data referenced are averages, calculated based on bookings made beginning January 1, 2017, for travel departing May 26 – May 29, 2017 and returning May 30 – June 1, 2017. CheapOair, a leading flight-focused, next generation concierge travel service, was recently presented with two Gold Awards at the Horizon Interactive Awards for innovation during 2016 for the CheapOair website and mobile app. 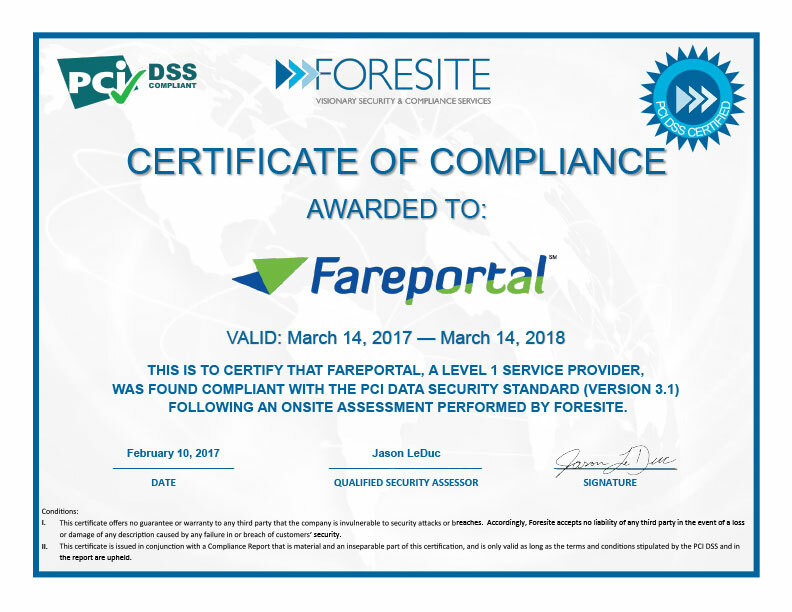 Fareportal, the travel technology company powering CheapOair and OneTravel, has been awarded the Top Tier Supplier Award by China Eastern Airlines based on sales performance in 2016. 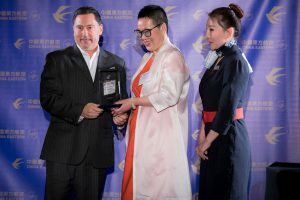 This award is given annually to recognize the top sellers of China Eastern Airlines tickets during the previous year. China Eastern Airlines operates non-stop flights to Shanghai from five North American gateways including Los Angeles, San Francisco, New York, Vancouver and Honolulu.